When’s the last time you thought about your tire pressure? You should make it a point to check it at least once a month. Proper inflation maximizes traction as well as efficiency while driving, keeping you safe and saving you money. Learn how to check your tire pressure, and what to do if the reading is low or high, with these tips from your Winter Haven area Ford dealership, Bartow Ford. 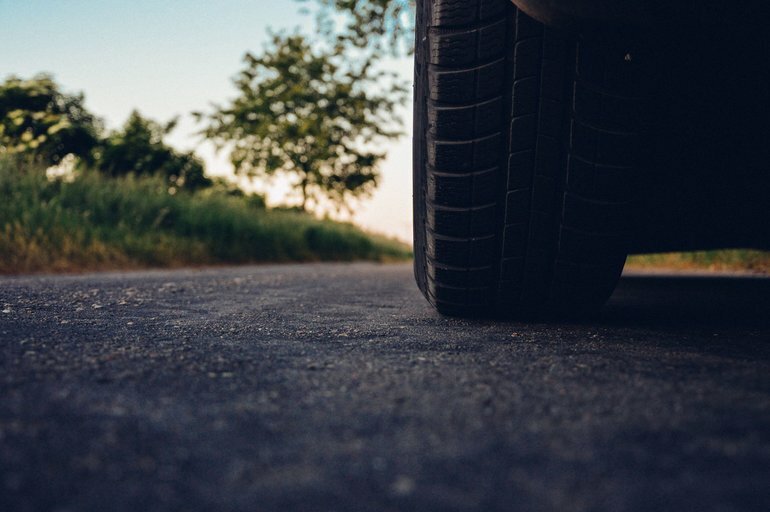 Before you check your tire pressure, there’s some quick preparation that needs to be done. You want to check the pressure when the tires are cold, meaning your car has been parked for at least three hours. You should also take a moment to confirm what the recommended PSI for your car is. You can find this either in the owner’s manual or the door jam on your driver’s side. Once you’re ready to check the pressure, start by taking the valve cap off the tire. Put the pressure gauge on top of the valve stem, pressing down so you no longer hear the hissing sound. Your gauge will then read the tire pressure. Standard gauges work by having the air pressure push a bar from the gauge’s bottom, letting you read the measurement units that are etched on the bar. If you have a digital gauge, the reading appears on the screen. Check all four tires and make a note of the readings, comparing them to the manufacturer’s recommendation. If any of your tires have low pressure, use an air compressor to refill them. Be sure to check the directions for your particular air compressor since they’re all slightly different. If you do not have your own air compressor, you can find one at most gas stations. Just remember that your tires may be hot when using a gas station’s compressor. Because of that, you should add 4 psi to the cold inflation that your manufacturer recommends. If the tires are overinflated, simply let out a bit of air. The team at our service center will gladly show you how to check your tire pressure and can help you diagnose the problem if pressure is low. 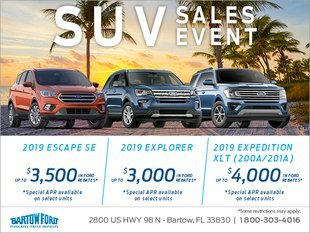 Visit your Winter Haven area Ford dealership, Bartow Ford, or make an appointment by calling 800-303-4016.